Artistic Home, Town of Pereslavl-Zalessky. Symposium of sculptors of Russia «Sculpture in Granite». Art director and member of the sculptor group. 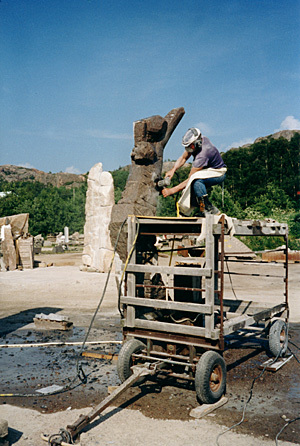 International Symposium of Sculptors, Gerlsborg, Sweden. Artistic Home named after D. N. Kardovsky, Town of Pereslavl-Zalessky. Artistic Home named after D.N. Kardovsky, Town of Pereslavl-Zalessky. Russia Symposium of Sculptors. «Eternal Way», marble, 170 cm. International Symposium of Sculptors, Gerlesborg, Sweden. «Pieta», granite, height 230 cm. «Infinity», granite height 340 cm, Gerlesborg, Sweden.